UFO SIGHTINGS DAILY: UFO Seen On Live Cam At The NASA Space Station, April 2016, Video, UFO Sighting News. 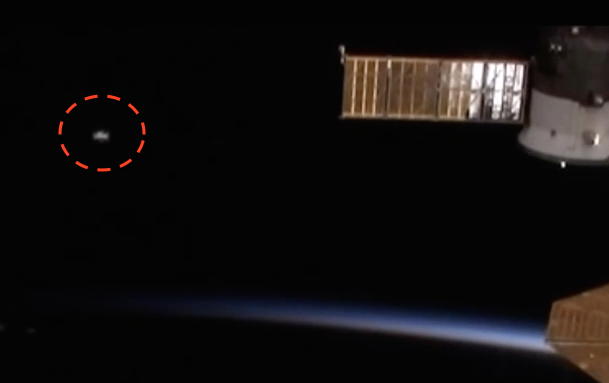 UFO Seen On Live Cam At The NASA Space Station, April 2016, Video, UFO Sighting News. This UFO was caught by Streetcap1 of Youtube and I have to say this UFO is more classic than most seen at the station. This one seems to have a humped lower and upper section. This UFO did appear on April 1, 2016, So is NASA playing a joke on the nation? I don't think they have that in them. That's the last thing they even want to suggest...that they are faking anything...at least, I hope they are thinking that.